Looking for the best software to edit PDF? Well, there are a lot of PDF software out there but which one should you pick? Well, this article will introduce you to two simple ways or rather software to Edit PDF without breaking a sweat. We are talking about using a professional tool in Wondershare PDFelement 6 and a free online converter is known as HiPDF. Let’s get started, shall we? 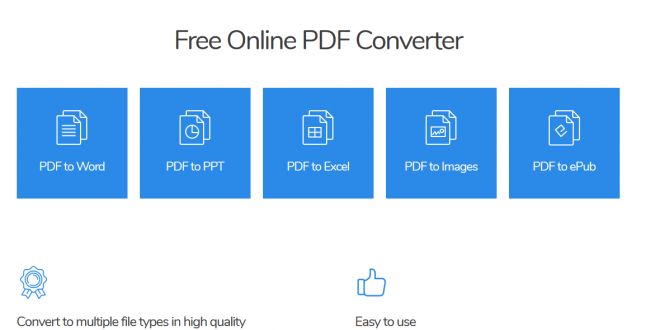 To start with, let’s look at how to edit PDF using a free PDF converter known as HiPDF. For starters, HiPDF editor is an online PDF editor tailored for simple PDF users who may want to edit PDF files without installing any software. The tool is essentially designed for PDF conversion to other formats like Word, PPT, Excel, Images, and ePub after which they can edit their PDF easily in the formats they fancy. To convert PDF using HiPDF, visit http://www.hipdf.com/, first and you will see the conversions options available. Pick the one you want to use and you will be prompted to upload your PDF file. 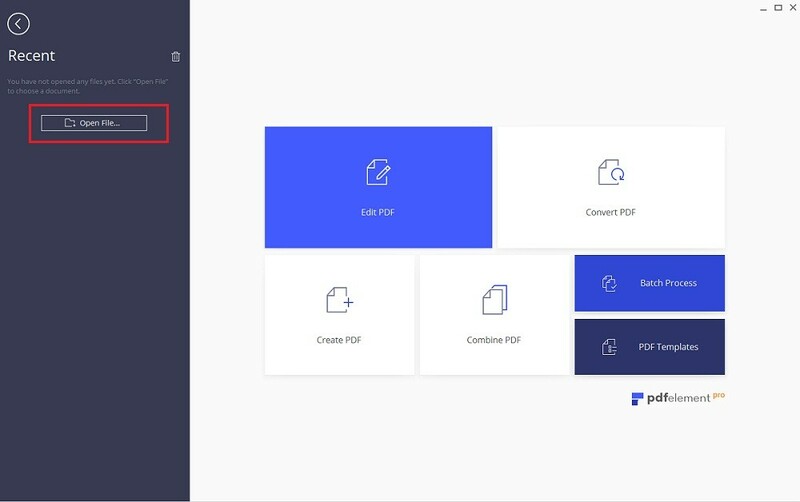 After uploading the file, the tool will automatically convert the file to your desired file format and you can click on the “Download” button to download the output file. For advanced PDF users, Wondershare PDFelement is the ultimate choice owing to a plethora of features tailored for handling PDF. This includes top draw features to edit, convert, annotate, fill and sign PDFs. Here you can download for free trail. To edit PDF using this tool, you will first need to install the tool then launch it. On the launcher UI of the software, click on “Edit PDF”. Then click on the edit tab where you will get access to a wide range of editing options including the option to add text, images, links plus OCR, Crop, Watermark, Background, Headers & Footer and Bates Numbering. Just start typing on the document and the next text will be added. To add images to your PDF, click on “Add Images” option and you will be prompted to import the image you fancy after which you can also edit the image. This is more or less the same with adding links, watermarks, editing PDF background and bates numbering. Perhaps the fascinating aspect of the PDFelement 6 is the fact it can not only edit PDF but you can also edit scanned documents using an advanced OCR feature. It’s one of a kind feature loved by many Small and Medium Business looking to go paperless. When it comes to editing, the tool affords you better control of PDF editing including the way you adjust fonts and editing graphic objects. You can also handle PDF forms with this PDF tool. In fact, you can convert and handle non-fillable forms made in Word, Excel or any other MS applications not to mention that you can extract data from your PDF files. The tool also allows you to convert between PDF and virtually all the common document formats around. 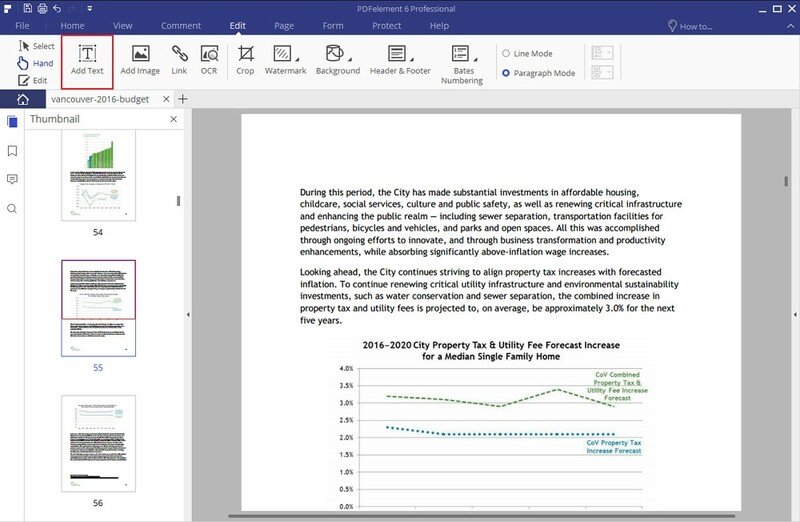 You can also annotate your documents using things like markups, stamps, and shapes while you can also move a step further to add digital signatures and share your PDFs smoothly. It’s that easy, editing PDF files isn’t and shouldn’t be hard. Now you now know which tool to pick whether you want a tool for simple projects or one to handle professional PDF. HiPDF and PDFelement 6 fit into the billing, just pick the one that fits into your projects and make PDF handling a breeze for you.